News and information. We strive to provide the latest news, events and research on cyberbullying. Our goal is that our website be a clearinghouse of information that is accessible to students and parents. In addition, we publish the bimonthly Delete Cyberbullying Bulletin for members with more in-depth coverage of news and information. Petition Against Cyberbullying. Students have the opportunity to sign our petition stating that they will treat others online with respect as well as try to assist those who may be victims of cyberbullying. Outreach programs. We provide educational materials, workshops and other outreach programs to member institutions. We also partner with other anti-harassment organizations to raise awareness of the problem of cyberbullying. Personal stories. We encourage students to share their stories about cyberbullying to lend a personal perspective, help victims see that they are not alone and to increase understanding of how deeply this issue affects youth. Scholarship award. 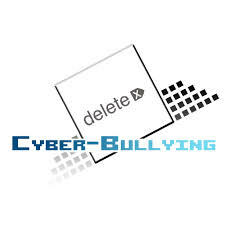 The Delete Cyberbullying Scholarship Award assists students in paying for higher education. Our goal is to educate as many students as possible about the perils of cyberbullying through the program. Students write an essay about how cyberbullying has affected them. To support our programs, membership is open to organizations including businesses, educational institutions and non-profit organizations. We know that it is unrealistic to think that every person will be nice to every other person on the Internet, but we do envision that it is possible for students to know how to react to cyberbullying and to work to defend others who are victims.